If you had $400 to spend on Amazon, what would you buy? You could get a KitchenAid mixer. Or an iPad. Or 40 books! Anything your little heart desires. If you want a chance to win some spending money, stay tuned! I have rediscovered my slow cooker! When I was working, slow cooker recipes didn’t really work. Most of them call for 6-8 hours of cooking time, but my work day including commute was more like 10. I really only made crock pot recipes on Sundays. Which is totally sad because crock pot recipes are super easy and also super tasty. Plus they make big batches, which is good because Nick likes having leftovers for lunches. Now that I don’t really have time restrictions, I can crock any day of the week. Woot woot. Chili is one food that no one ever gets tired of. At least not in our house. I hadn’t made a white chili in forever, so when I saw this recipe from Host the Toast, I had to try it! Place chicken thighs in the bottom of a crock pot. Add the chili powder, cumin, onion, garlic, oregano, coriander, cayenne pepper, green chiles, corn, beans, and chicken broth. Stir to combine, cover, and cook on low for 6 hours, or until chicken shreds easily with a fork. An hour before serving, melt the butter in a small saucepan over medium-high heat. Once the butter melts, whisk in the flour. Whisk constantly, until the flour and butter thicken and brown to the color of peanut butter. Then, slowly whisk in the milk. Add in the chicken bouillon, and continue to whisk as the sauce cooks and thickens and the bouillon cube breaks down, about 5 minutes. Remove the saucepan from heat and season with salt and pepper. Pour into the crock pot and stir. If the chicken hasn't shredded as you stirred, remove the chicken from the chili and shred with forks before returning to the chili. Cook for an additional hour. Right before serving, stir in the yogurt. Serve with lime, avocado, cilantro, and shredded white cheese. This chili was delish and a nice change from my usual. As far as I’m concerned, you can never have too many chili recipes. Case in point: Buffalo Chicken Chili, Crock Pot Chili, Meaty Portobello Chili, Mediterranean Chickpea Chili, Chicken-Corn Chili, Sweet Potato and Kielbasa Chili, Easy Three Bean Chili, Chicken Barley Chili. That’s alotta chili! Shall we move onto winning money!? To enter the giveaway, use the Rafflecopter widget below. Good luck! 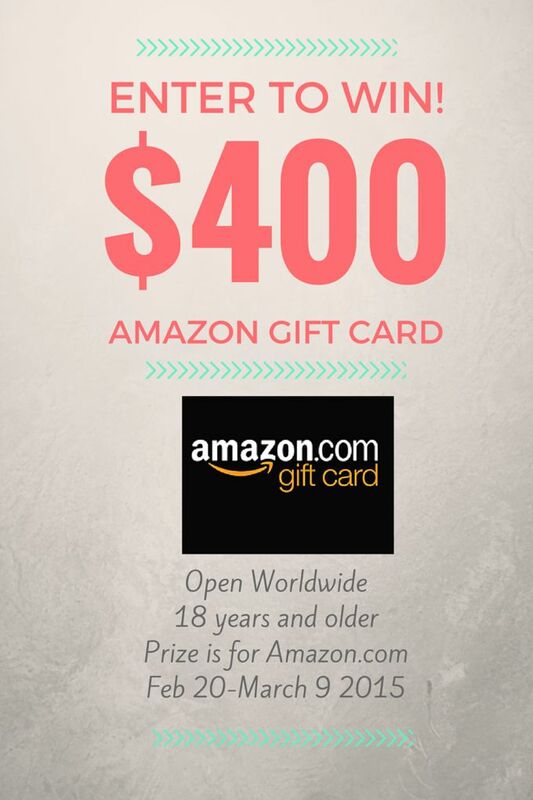 Fine print: Prize is in US dollars, and the gift card is from Amazon.com (not .uk, .ca etc). Contest is open worldwide, but you must be over 18 years to enter. Contest runs February 20 1:00 AM (EST) until March 9 11:59 PM (EST). Winner will be contacted within 48 hours and e-mailed the gift card. We are not in any way affiliated with Amazon.com. My mom used to always make white chili, but I haven’t had it in ages! Your looks so good, and I love that you cooked in the slow cooker. Pinned! 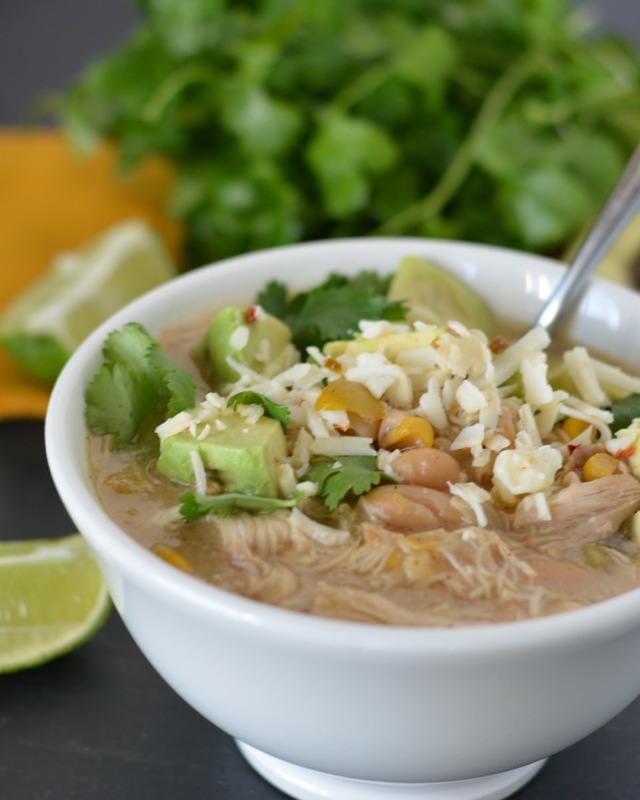 I totally agree with you on the 5-6 hour slow cooker recipes…too hard for work days! 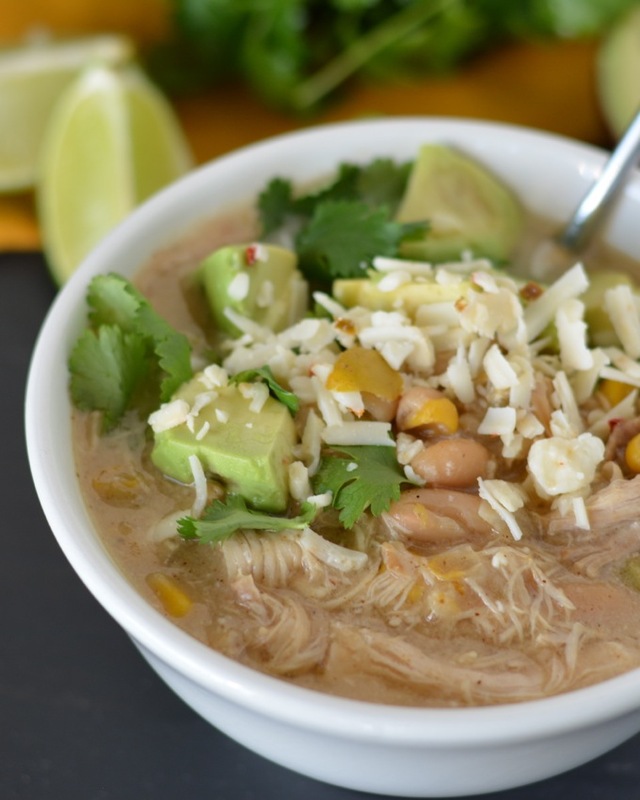 This looks delicious, I haven’t had a white chicken chili in ages! I’m the HUGEST sucker for a bowl of hot white chili, but slow-cooked thrown into the mix too? This is my dream weeknight dinner. LOVE how thick and hearty this looks, Jess! Thanks, Sarah!! It was soooo good!! Slow cooker meals are my favorite! 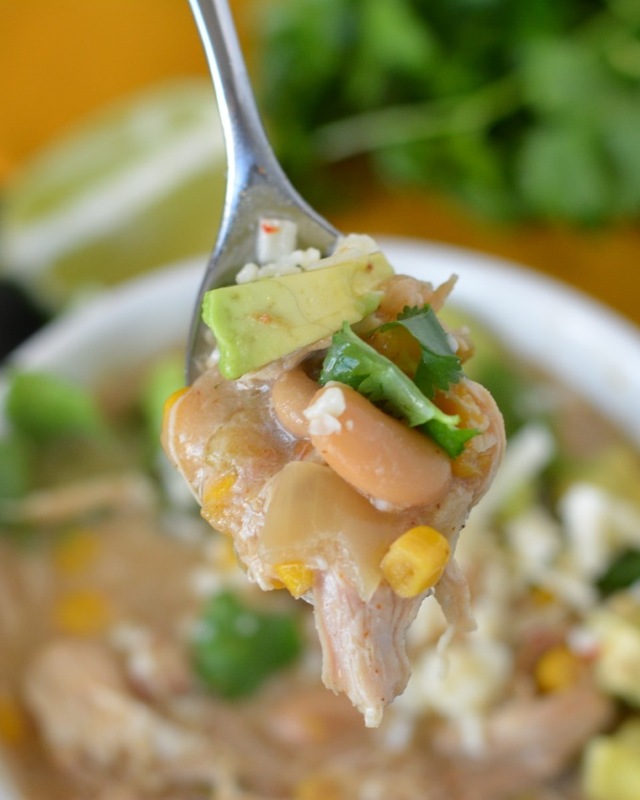 Love this white chili chicken version, it’s looks so comforting and delicious! This is a BIG hit at my house. My 12- and 9- year old boys love it! My parents made it for their dinner party and guests asked for the recipe. I love it because it’s easy to make as well as delicious to eat. Thank you! Hooray! So glad you liked it Nicole!